Welcome to Lava Bangladesh Customer Care, Showroom, Authorize Outlets Address & Contact Number. Day by day Lava Company increase their business in Bangladesh area and many people use their product. So, Bangladeshi people searching where is the Lava Service Center in Bangladesh, Lava Showrooms Address and Helpline number BD, Lava BD Authorize Outlets Shop, Lava Trusted Retailer Shop in Bangladesh. 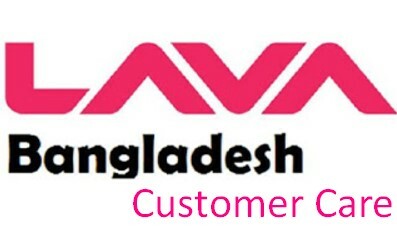 So, we update all the details Information about the Lava Customer Service Center number & Address in Bangladesh. Address: LAVA Care, Confidence Center Shopping Complex, 2nd Floor, Shahajadpur, Gulshan, Dhaka. Address: GDL Care, Puraton bus stand, Hobibur Rahman Plaza, 1st floor, Tangail. Address: GDL Care, Rupali Mension, Holding # 103, Bhanga Rastar Moar, Goalchamot, Faridpur. Address: LAVA Care, Hazi Sultan Uddin Shopping Complex, 3rd Floor, 253, Bazir Mor, Norshingdi. Address: LAVA Collection Point, Naimur Rahman Khan, 35, 2nd floor, Islamia super Market, Puran thana, Kishoreganj. Address: Tusto Complex, 2nd Floor, Rupkatha Road, Dilalpur, Pabna. Dhaka City – Badda Ammajan Telecom Holland Center, Badda. Thanks for staying with us a long time and visiting Lava Bangladesh Customer Care, Showroom, Authorize Outlets Address & Contact Number article. If you have any confusion or question or want to know more about the Lava Customer Service Center BD, just comment the below box. We reply as soon as possible with a correct answer.